This church was originally built in 1878 as the Cliffside Chapel. The parish hall was built between 1910 and 1913. The tower of the church was built in 1919 as a memorial for those who died in World War I. The building was built in the Picturesque style. 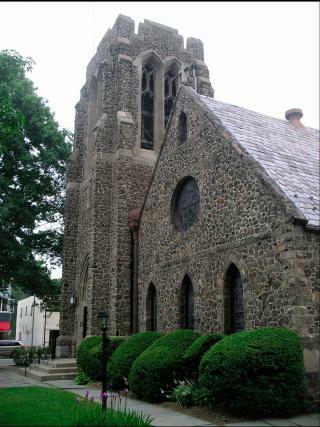 The St. James Episcopal Church is used by nonprofit organizations such as Alcoholics Anonymous, Arts Anonymous, Al-Anon, and causes such as Doctors Without Borders, Tibetan Buddhist monks, Teens for Life’s support of people in Rwanda, distributing used office clothing to those reentering the workforce, and high schools raising funds for Darfur.